One of our aim is to visit all the 50 states of America. I have covered half over the years and there is still another half to go, whereas my hubby has visited over 30 states and has very less options in the mid-west area. So this time over the long weekend we decided on covering at least one state. But in the end we drove through 3 states. We decided to go to Sioux Falls in Sioux Falls city in South Dakota and see other places in Sioux Falls city if possible. 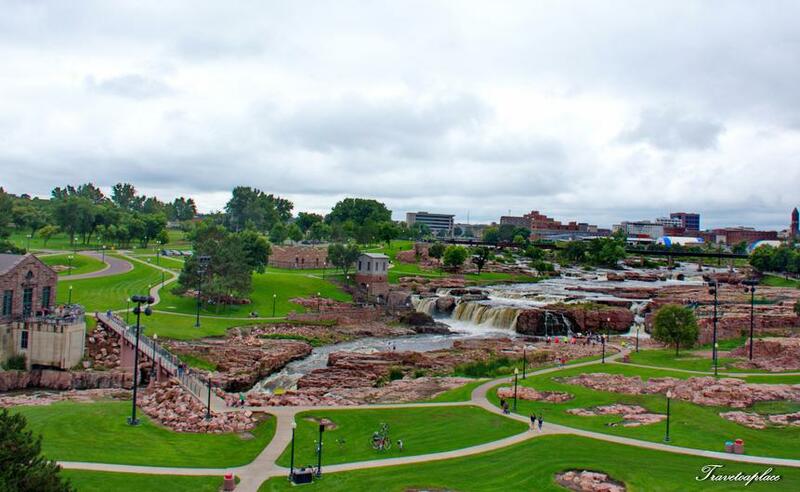 ​A trip to magnificent Sioux Falls in Sioux Falls city, South Dakota is a must for people living close by. It is wide, and a bird’s view from the tower is beautiful. Living in Iowa we had to drive through Nebraska and Minnesota to reach South Dakota a good 8 hour trip through some maniacal weather. We reached our hotel in Sioux City late at night, and we went off to sleep immediately. We woke up to clear weather. After a hearty breakfast at IHOP’s we drove to Sioux Falls. We first went up to the tower for a bird’s view and it is a breathtaking view from top, a stunning vista! There were cascades after cascades of waterfalls. We then walked up to the falls from both sides all the way to the train tracks. We spent hours just walking around the falls soaking in the view and nature. These falls were created during the last Ice age (over 14000 years ago). Legend has it that these falls could be heard miles away, the Native Americans brought stories of these falls to the Europeans, who got fascinated by these stories and decided to go see it. They were so fascinated by these falls that 2 companies later staked ownership to these falls. 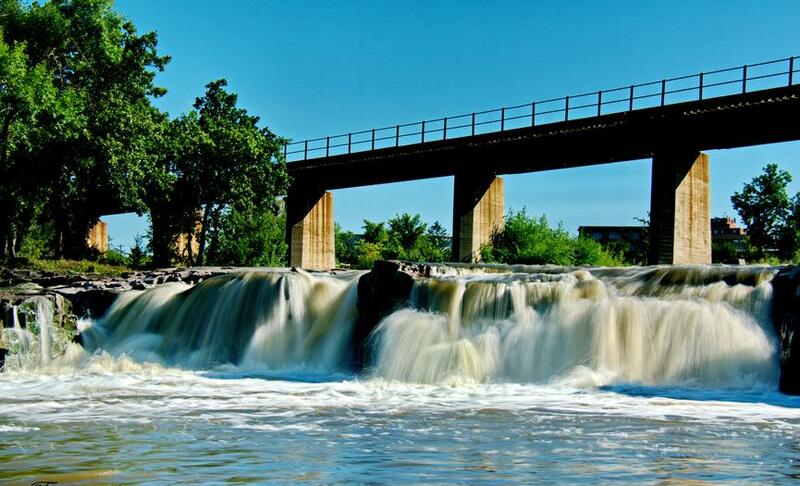 The industrialization brought a rail line, a hydroelectric power generation plant and a wheat mill called the Queen Bee Mill right next to these magnificent falls. But over the years everything but the rail tracks have been removed to keep the beauty of these falls intact. Swimming is not allowed but you can hike up real close to the falls. After spending a few hours we went to the café shop and had coffee, the view from the Overlook Café shop is beautiful the décor inside the café itself is tastefully done. Food is reasonably priced and they serve alcoholic drinks too. 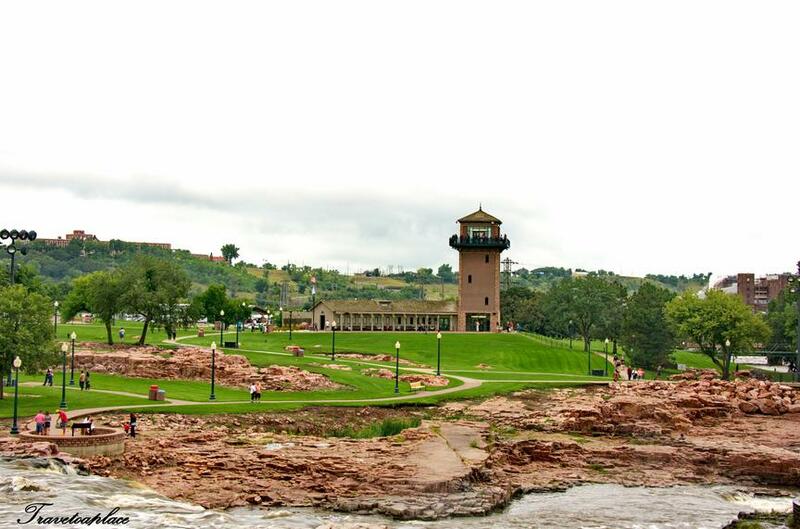 ​There is no entry fee for Falls Park.The tower has a max capacity of 35 people at any given time, so on a crowded day you may have to wait. ​Wear hiking boots or trails shoes so that you can climb over rocks and get closer to the falls. Try to plan the trip before a storm or heavy rains, these tend to make the water in the falls extremely murky. ​Sit and enjoy the fall view sitting outside the Overlook Café.